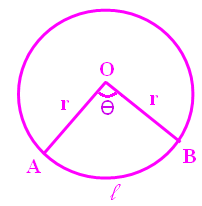 About "Area of Sector of a Circle"
In this section, you will learn how to solve for the area of a sector of a circle. This is very similar to arc length, but with a different base formula. 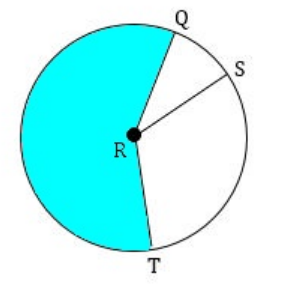 Sector is the region bounded by the bounding radii and the arc of the sector. We have two formulas to find the area of sector of a circle. 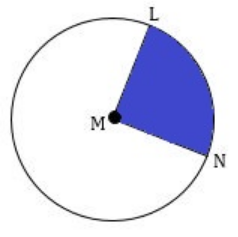 Let us look at the next problem on "Area of sector of a circle". Hence, the area of the given sector is about 14.1 yd². Hence, the area of the given sector is about 316.7 cm². Hence, the area of sector LMN is about 10.9 cm². Given : m∠XYZ = 58°. So, the central angle θ is 116°. Hence, the area of sector XCZ is about 101.2 in². Given : m∠QRS = 46° and m∠SRT = 80°. 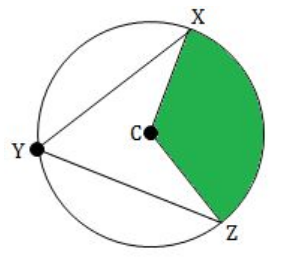 Hence, the area of the shaded sector is about 8.2 in². Given : A sector is intersecting Arc AB. Because the given sector is intersecting Arc AB, the measure of Arc AB is nothing but the central angle of the given sector. Given : Area of the sector is 37 square cm. Multiply both sides by 360°. Hence, the measure of Arc AB is about 35°. Plug l = 66 and r = 21. So, the area of the sector is 693 cm². Multiply both sides by 1384.74 / 360°. Hence, the area of the sector is 693 square cm and the measure of central angle is 180°. 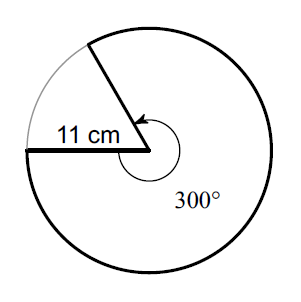 Given : Perimeter of the sector is 147 cm and the radius is 35 cm. Subtract 70 from both sides. Hence, the area of the sector is 1347.5 cm². Given : The measure of Arc AB is 43°. 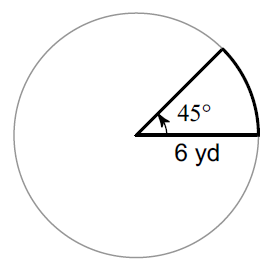 Then, the measure of central angle of the sector is 43°. Hence, the radius is about 10.7 cm. After having gone through the stuff given above, we hope that the students would have understood "Area of sector of a circle"
Apart from the stuff given above, if you want to know more about "Area of sector of a circle", please click here.